The company is engaged in manufacturing, supplying, and exporting of Readwell Touch ELISA Plate Analyser that is assembled using the premium quality components. Our Readwell Touch ELISA Plate Analyser is made in accordance to international quality standards. 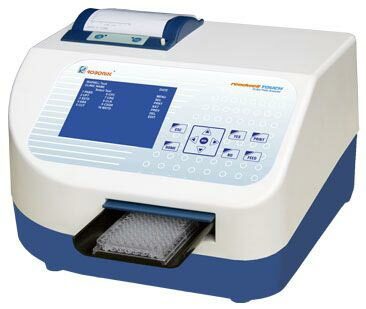 The Readwell Touch ELISA Plate Analyser, offered by us, is widely demanded for its USB data transfer and multiple blank setting in cut off mode features. Moreover, our clients can avail it at the market leading prices.